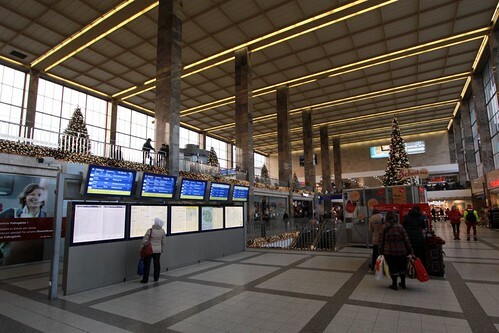 The answer is found in train formation diagrams, which are found either on the main station concourse, or the platforms themselves. 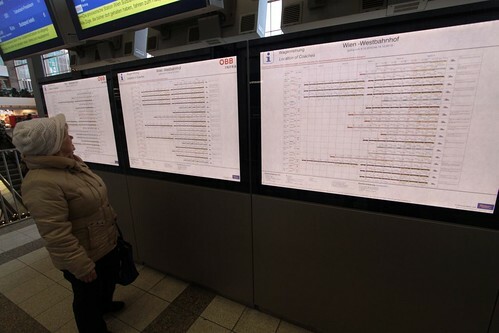 The diagrams show the make-up of each train, indicating the carriage order and numbering for each specific train departures, ordered by train number. Unfortunately train operators don’t seem to post the information online, so you have to visit the ‘vagonWEB’ railway enthusiast website for the details. With a train formation diagram on hand, you now know where your seat is, as well as which way to the dining car! 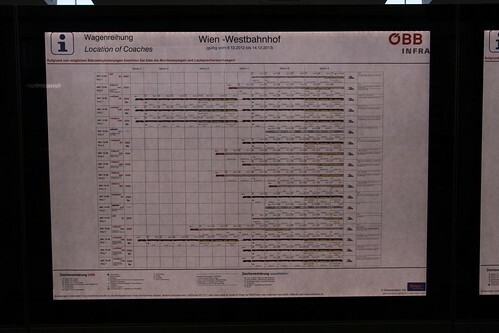 The ÖBB diagram I found at Wein Westbahnhof (Vienna West Station) had an interesting note at the bottom – ‘In Kooperation mit Roco Modelleisenbahn GmbH’. 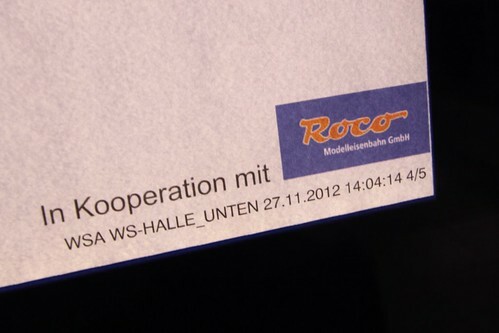 Roco is an Austrian manufacturer of model trains – I’m assuming that ÖBB discovered that the Roco catalog was full of line drawings of ÖBB trains, so asked them for permission to reuse them in their train formation diagrams. More detail on seating plans for European trains can be found at the Man in Seat 61 website. This entry was posted in Trains and tagged Austria, model railways, ÖBB, rail operations, Roco, Vienna. Bookmark the permalink.